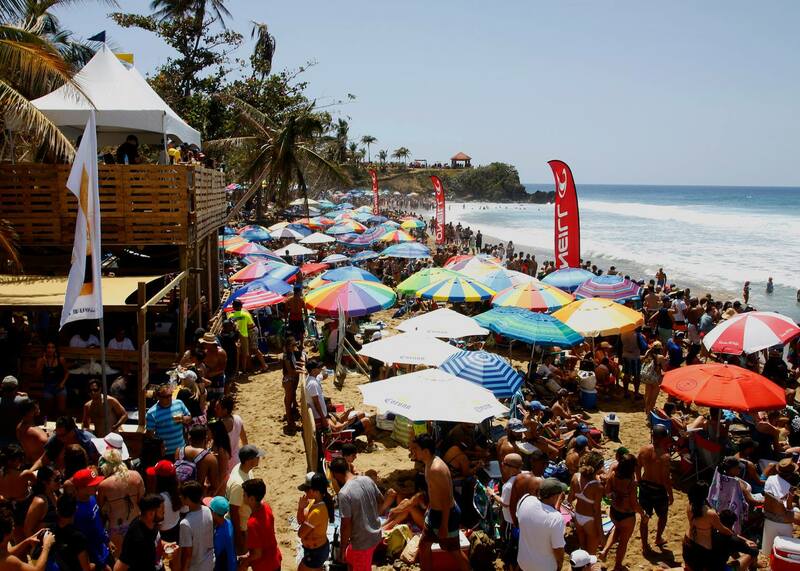 Beautiful 4 to 6 foot conditions graced Domes Beach in the morning for the 32nd Edition of the Corona Extra Pro. The crowds were treated to professional surfing from the men and women. 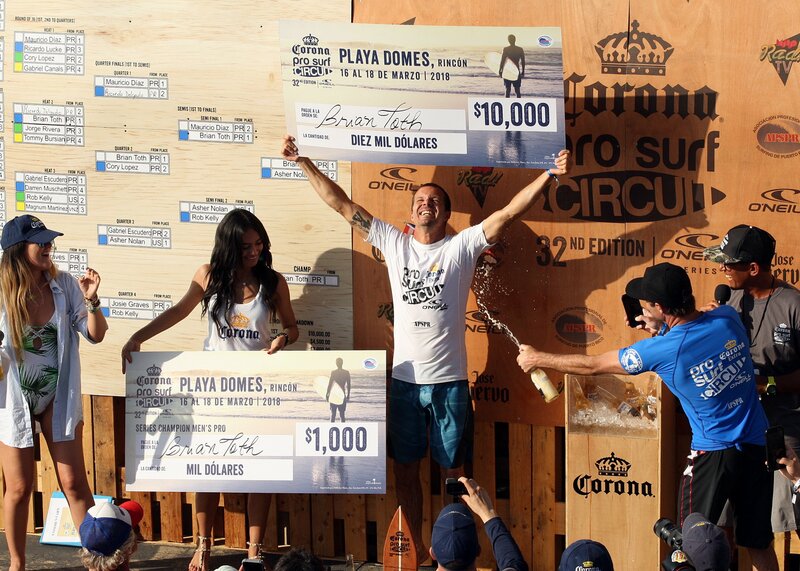 Up for grabs was the 32nd Edition of Corona Extra Title and the Corona Extra Pro Surfing Circuit O’neill Series. Surfers started off the day in clean conditions but as the West wind picked up throughout the day, conditions became more challenging. Briand Toth (PR) and Tiarah Blanco (PR) were able to come out on top with their champion performances. 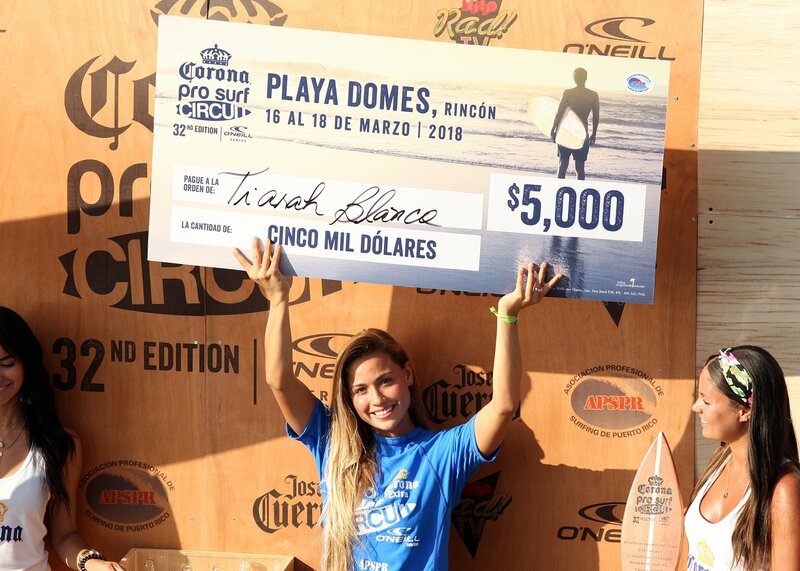 The Corona Extra Pro Surfing Circuit O’neill Series also crowned circuit champions, Brian Toth (PR) and Alexis Engstrom (PR). Top men performers were Cory Lopez (FL), Tommy Bursian (PR), Ricardo Lucke (PR), Rob Kelly (US), Bryan Laide (PR), Mauricio Díaz (PR), and Gabriel Escudero (PR). Cory Lopez held down the highest wave of the day with a 9.23 followed closely behind by Tommy Bursian with a 9.17. The final heat between Nolan and Toth was an action packed final. Nolan got off to a quick start with a 7.27 and a 6.53 putting Toth playing catch up but Toth put up a good fight with a 7.07 and a 7.50 to take the lead over Nolan, a Corona Extra Pro veteran. Nolan was surfing injured from his back and neck, got injured two days prior to the event while surfing warming up for the event at Surfers Beach. The injury put Nolan out of the water for a day leading up to the event. On the women’s side of the action the day started off with Semifinal 1. Top performers for the women were semifinalists’ Idalis Alvarado (PR) and Molly Kirk (US). Champion Tiarah Blanco held down the top heat points of the event with a 9.33 on her 2nd wave and a 7.83 on her last wave for total of 17.16 points. Alexis Engstrom stayed busy trying to catch up with Tiara who utilized her priority to take the waves with the best score potential. Thanks to our generous sponsors: Corona Extra, O’neill, Tequila José Cuervo, Mundo Rad, Hang Loose Surf Shop, and Werner Vega Surfboards.